The SDW 5000 UC headset features an innovative base unit that allows for multi-device connectivity. It serves as a communications hub for the modern office, which is typically full of disparate devices. 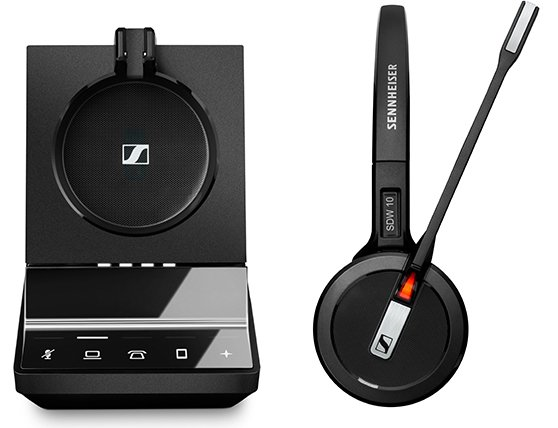 Sennheiser’s portfolio of advanced unified communications headsets includes the SDW 5000 headset, launched in 2018 to superlative reviews. The SDW 5000 features a versatile base unit that facilitates connectivity to multiple devices, from desk phones to cell phones to laptops or tablets, allowing users to switch devices over the course of the workday and accommodating the new mobile workforce. This model also incorporates 128bit authentication keys and DECT security certification for sensitive environments, plus Super Wide Band sound to meet the industry’s most stringent audio quality standard.